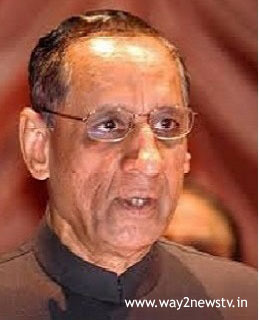 Vijayawada, January 11, (way2newstv.in):Telangana Congress leaders in the Telugu state governor Narasimhan are not the leaders of the Andhra Pradesh BJP leaders. To this end, the AP Legislative Leader was the Chief Minister of the Vishnukumar RajThe letter seems to have been written. Governor Narsimhaan has been accused of not looking after the state for more than 40 months after the division of the state. Not even that ... at least the governor to pass bills.I did not show interest. The governor speaks as a TRS activist with Congress leaders who came to complain to him. As a result, along with the VH .. many leaders are the governorWrong. Now, the BJP leaders have been forced to intervene by the leaders of the ruling coalition. If the Bill passed by the Parliament for the passage of six months, the bill passed so farIt is the word of the BJP. He said that the governor had no benefit but to come to the state of curfew. That is why the leaders are demanding that he replace someone else.He urged the central government to appoint a new Governor in the next budget session. Interestingly, the provincial governor in the state is not interested in the lack of accommodation facilitiesChanged. In fact, the governor's approach is disputed. There are criticisms that TDP and TRS have not seen the rest of the parties. At the same time to complain about your governmentAsked if there was a mistake in time, there were criticisms of pride. In the state of power, the power and opposition can not be different. Survivors in the hands of sandalsThe governor's view was wrong in asking Opposition to do justice to those who lost it. The VHP leaders, who have not joined the TRS party, are in a position to tell the governor.